Home lifestyle. Importance of yoga in life. Importance of yoga in life. International Yoga day is celebrated on June 21 and Indian Prime Minister Narendra Modi suggested United Nation to do that in 2014. Yoga is very important for everyone. Yoga in daily life is a system of practice in the development of physical, mental, social and spiritual health. After yoga every people get mentally and physically fresh and ready for his work and make stress under control. Yoga refreshes our mind and makes new thought and action in our mind. Morning is the best time for doing yoga for every person in the airy atmosphere it also gives u the fresh air of morning that is very good for health. 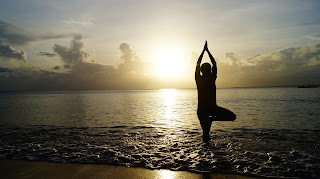 Yoga is not a religion; it is the way of living that aim ‘a healthy mind in a healthy body’. Yoga helps a balanced development in our body. It brings disciplines in person’s life. It helps in increasing your energy, flexibility, muscle strength and body tone. It always feels you in confidence of doing anything in your daily life. Regular practice of yoga can help lose weight, improve immunity and maintain your lifestyle. Yoga comes from Hinduism long years ago and is being practiced worldwide today. Yoga teaches us the knowledge of how to lead a healthy living. It improves our concentration creativity and sharpens our memory. Yoga makes our blood circulation normal and makes breathing clear. 1. Helps in blood circulation. 2. Refresh mind and improves concentration. 3. Helps in releasing stress. 4. Useful for weight loss and makes you fit. 5. Yoga cures diabetes and asthma. 6. Helps in our skin glow. 8. Helps in our digestion. 9. Improves flexibility of muscles. 10. Yoga helps in heart related problem. 12. Keeps diseases away from us. 13. Helps you sleep better. 14. Improved respiration, energy, and vitality. The art of practicing yoga help’s in controlling every person’s mind, body and soul. Yoga improves our concentration and helps to focused on individual’s work. In recent times, we get to know that regular yoga improves our memory and IQ level also. In modern time people are getting bored of using mobile phones, laptop and social media so doctor advises to do workout in going to Gym regularly at a specific time. Yoga plays very important role to give strength in our body. In modern days Doctors suggests their patient to do yoga regularly in their life. Yoga involves a lot of stretching exercises. If we do not do yoga in our life daily than we get weaker and lose health. By doing yoga we make our muscles strong and makes our body to control weight. In our busy life we have too much stress and our energy level down at a specific time but after doing yoga daily we must get these problems less in our life. There are many types of yoga. Every people need different types of yoga according to their needs and sometimes doctor advises different type of yoga for different people. Finally the conclusion of practicing yoga is that if people want to get always fit and free from stress than he must give one hour for yoga at a specific time. It also works as medicine for some people.